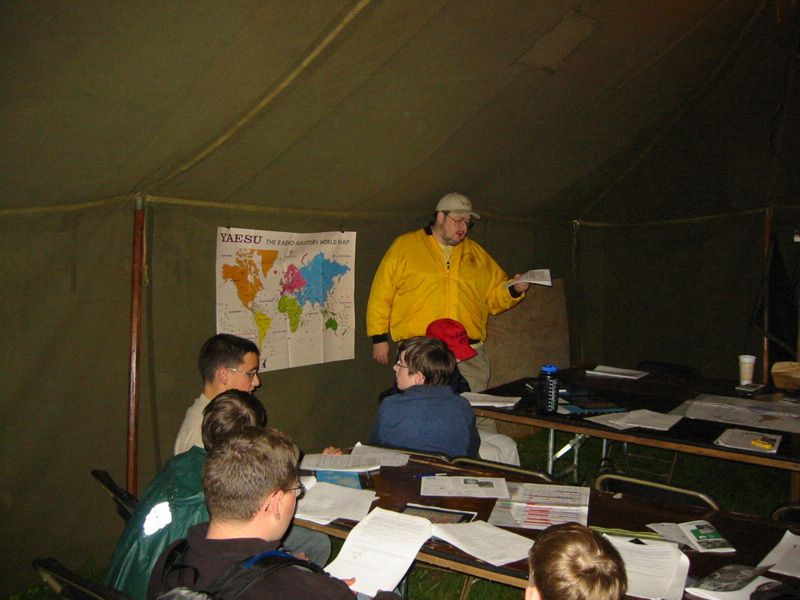 For the second time this year WWI came to the call of the Boy Scouts to conduct a intensive Radio Merit Badge class. 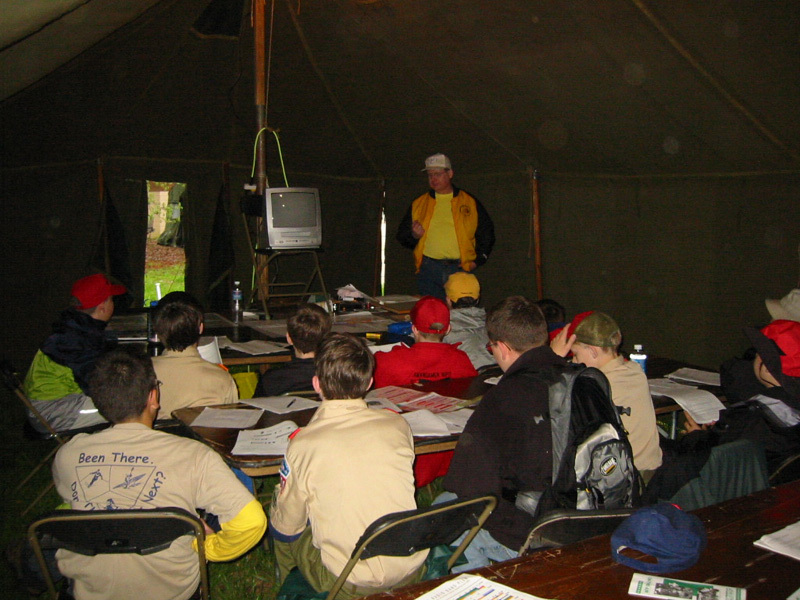 On a wet April 26th, W4DC, N8CIA, WA4TK, and W4ZY taught all 8 merit badge requirements to 17 scouts to earn their radio merit badge. 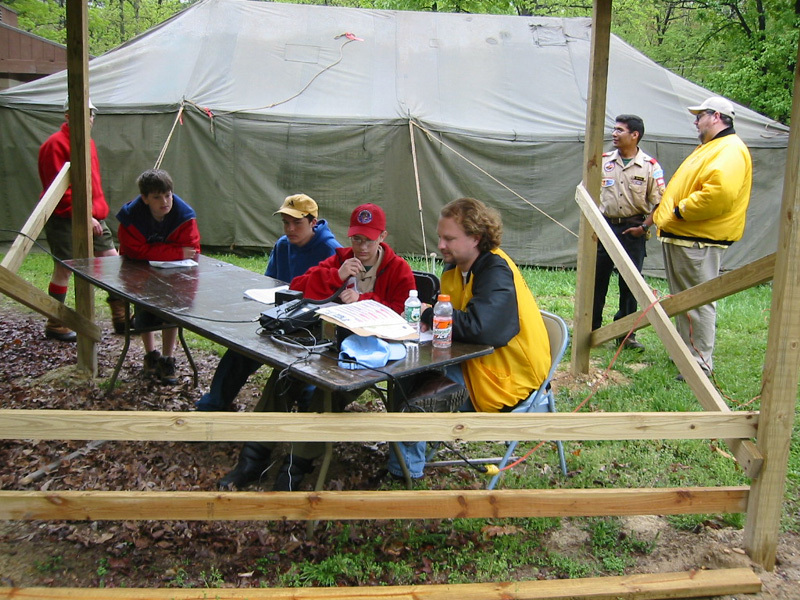 14 of the 17 scouts indicated they would like to get their ham license. 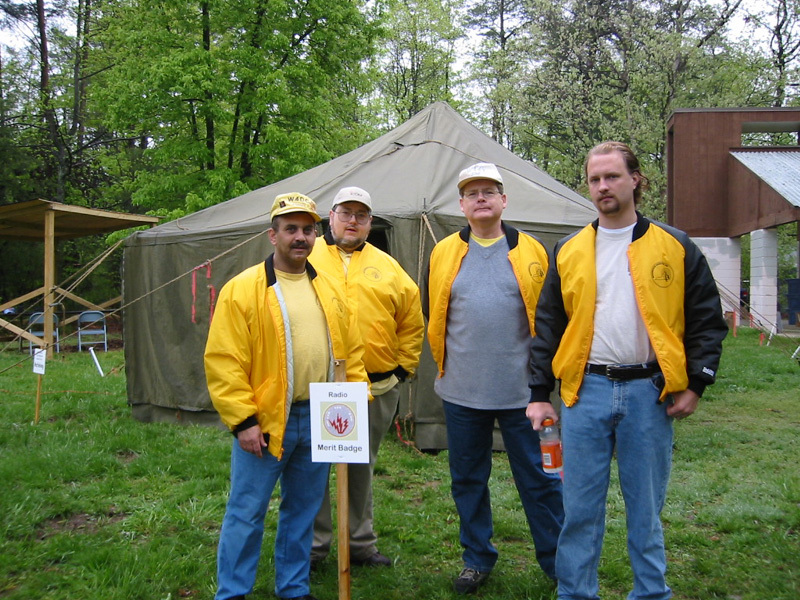 This is where the future of ham radio can be found if you want to volunteer to teach classes. 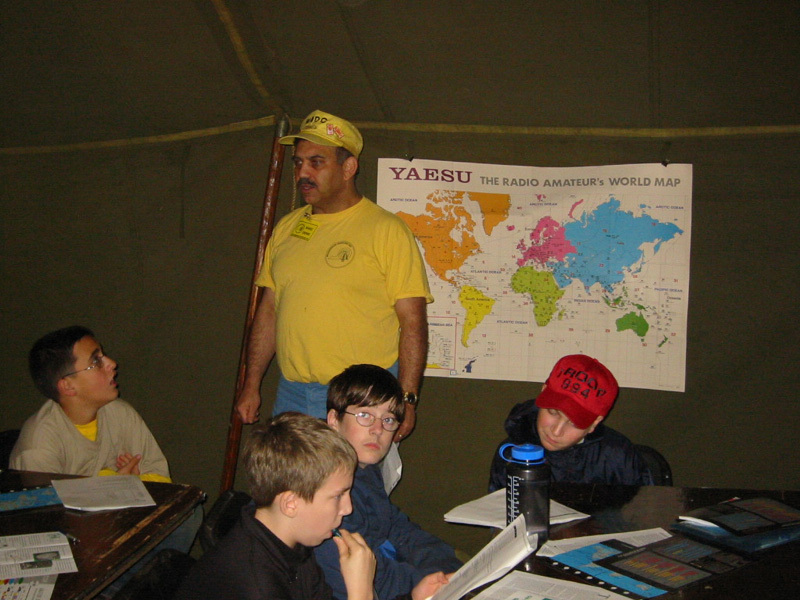 Denny (N8CIA) helping the kids get on the air.